Silver-White Round Dial with Metal Strap. The watch is water resistant upto 30m. 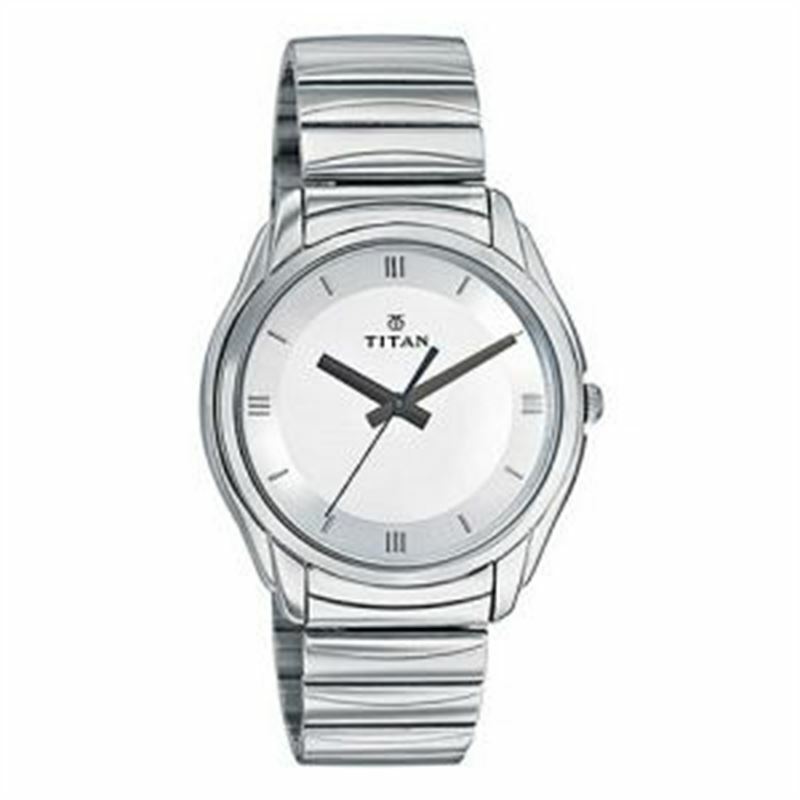 A truly multipurpose watch with best quality from Titan.